Researchers at the Institute for Advanced Architecture of Catalonia in Spain have revealed that a new technique based on sweating skin could reduce the interior temperature of buildings by approximately five degrees Celsius. Similar to the way human sweat glands cool down our bodies, this composite material has been combined with ceramic to test whether it will work comparably. Using hydrogel, a polymer comprised of 98 per cent water that expands in water, increasing its volume 400 times over 2.5 hours, it cools down its surroundings as it evaporates. 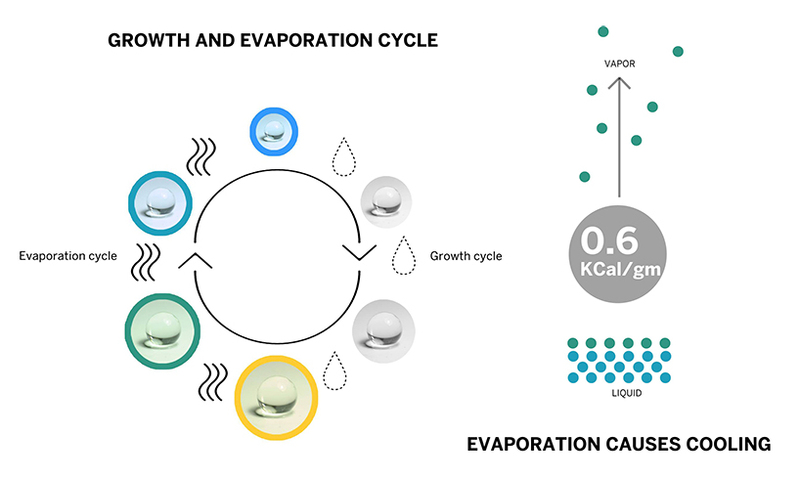 By using hydrogel with a ceramic composite the evaporated water is absorbed by the ceramic and lowers the temperature of the adjacent material. 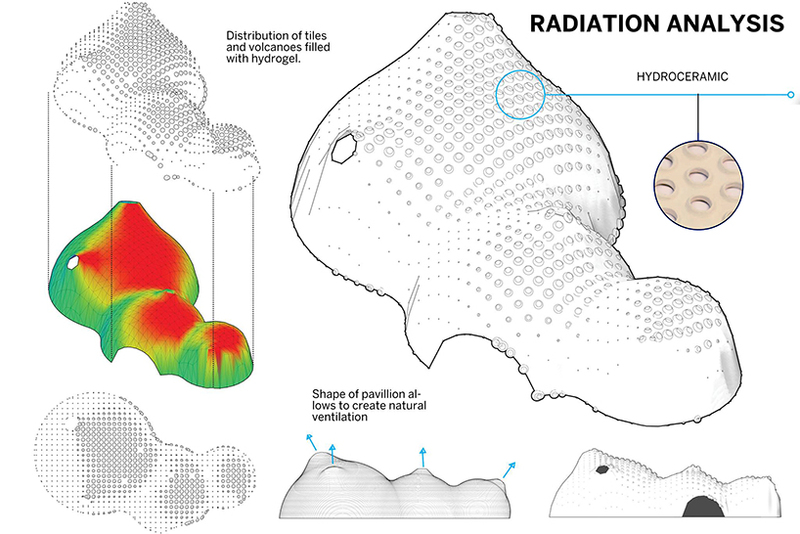 Researchers also found that by sandwiching a fabric layer between the hydrogel material and a clay structure, the fabric works as a water channel where moisture may transpire between the various hydrogel. 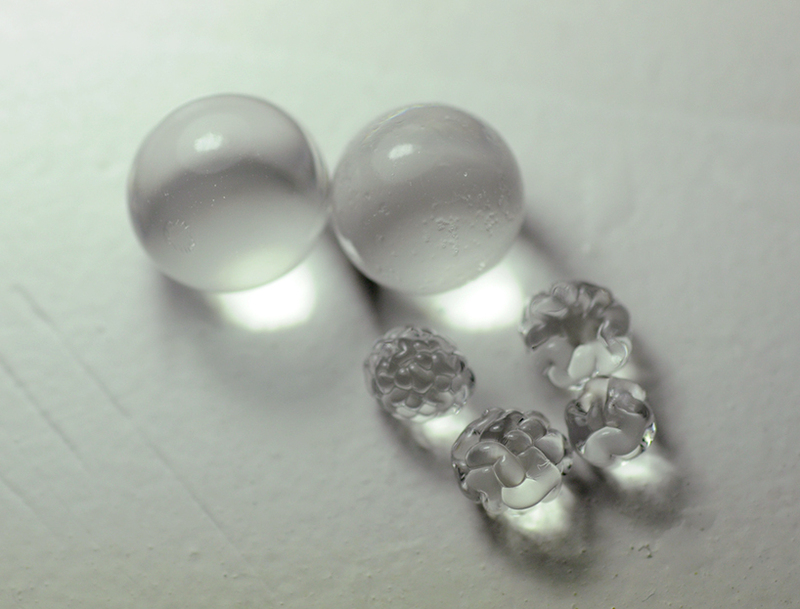 When the temperature increased, the moisture inside the hydrogel is released. 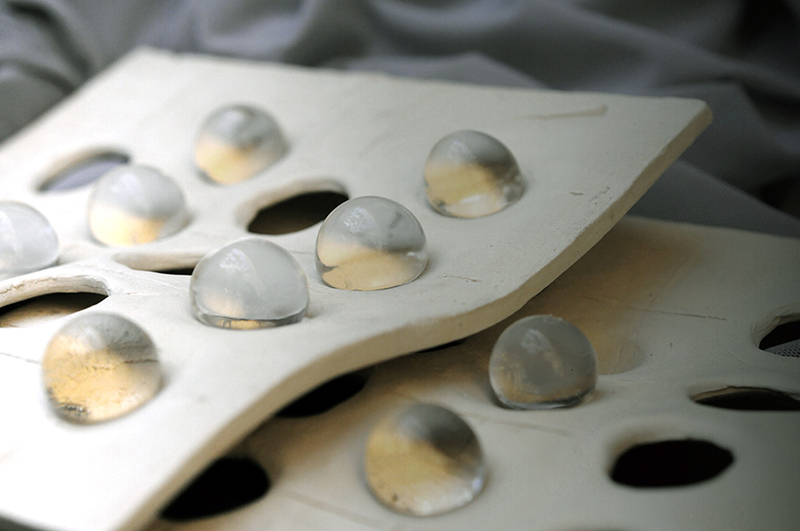 As a result, the moisture was absorbed by the ceramic and provided a cooling effect. 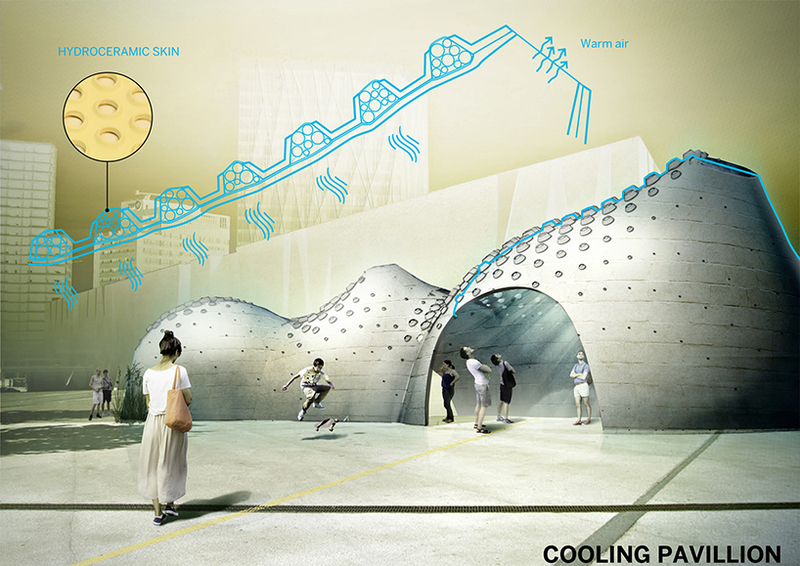 The idea is that the composite material could be used in buildings and act as an alternative to air conditioning. This works in conjunction with the shape of a pavilion, as seen below, where the curvature allows for natural ventilation. Results from the test model have shown that there was a reduction in the building's interior temperature by five degrees Celsius. However the consequence was an increase in humidity, which the researchers could combat with natural ventilation in the building. 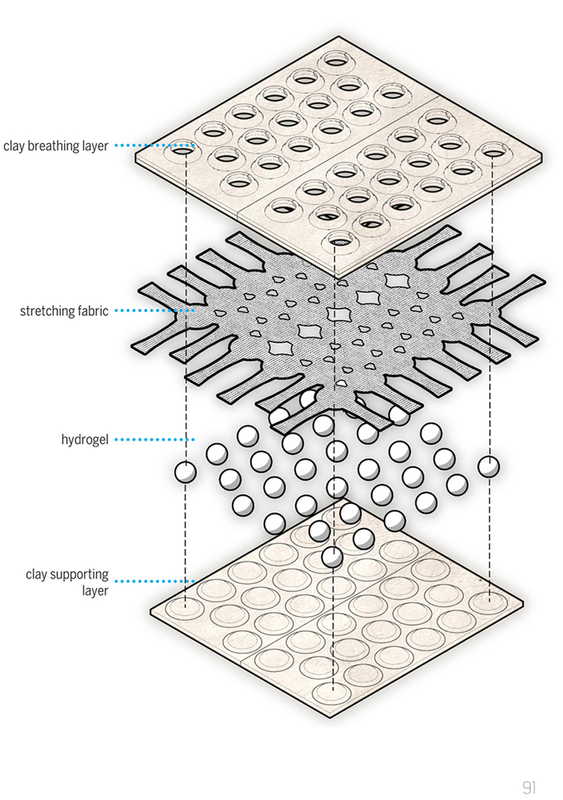 To reduce costs, researchers suggested that parts of the model such as the clay components could be 3D printed.